My recipe for malted whole meal loaf came about when I was looking to make treacle bread. I could not find a recipe for that so if anyone has one to share, please let me know. In my post for Cape Seed Loaf Tammy asked about the history behind the bread. The Cape Colony was established in 1652 as a feeding station for the Dutch East India Company. To this end, the Company Gardens were established and planted with fruit and vegetables. Ships would dock and be provisioned with fresh produce from the Gardens. When more food was needed than could be harvested from the Gardens, parcels of land were granted as farms. Towards the end of 1679 the farms in the area in which I live were established. These farms produced meat in the form of sheep and cattle. Vines were planted and today, most of our local farms produce excellent wines. Goats and pigs were added to the livestock and grain was planted. It took the farmers a day to travel to Cape Town with their produce. And whereas I cannot find any definitive history about this seed loaf unique to the Cape, I can well imagine it being baked in the farmhouse kitchens. 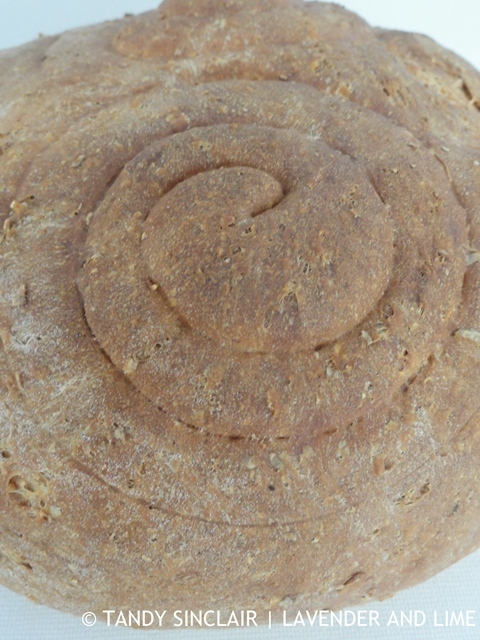 The loaf would have to last the journey to Cape Town, and back again and make use of locally farmed ingredients. 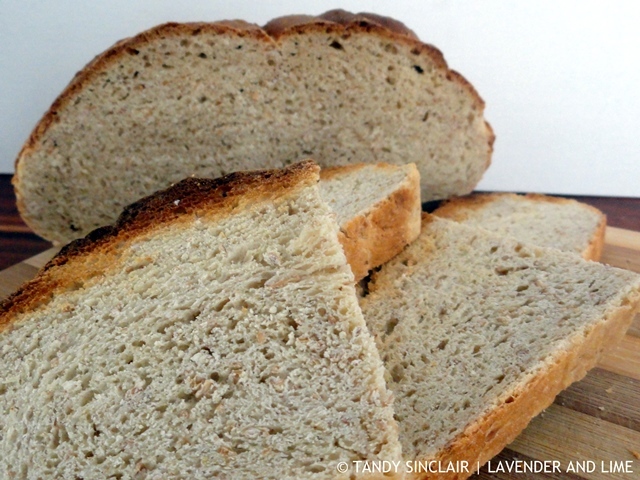 The slave women who worked in the farm kitchens would have been able to make this bread every morning as it requires very little proving time. During harvest the must from wine making would have been added to the bread, much like mosbolletjies. Like the must rolls that use a starter, but unlike the Cape Seed Loaf which is a quick bread, I made a malted whole meal loaf. You need patience for this bread as the proving time is fairly long. To make it shorter I used my oven which I will blog about at a later stage. Wishing my Christian readers Happy Easter! I love bread recipes, Tandy. I am going to give this a go.